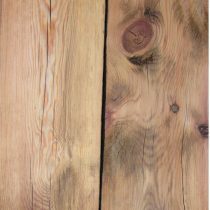 Our Reclaimed heart pine lumber is sold by the board foot. This pine has a lot of character. Heart pine lumber reclaimed from old warehouses, homes and businesses. May have nail holes and other characteristics ideal for that rustic look. Limited supply in stock. Please inquire with sales counter if needing large quantities.